Suchithra C Post Graduate Scholar, Department of PG Studies in Swasthavritta, JSS Ayurveda Medical College, Mysuru, Karnataka, INDIA. Rekha B V Reader, Department of PG Studies in Swasthavritta, JSS Ayurveda Medical College, Mysuru, Karnataka, INDIA. Background: Menarche and menopause are the two major components of women’s reproductive life. Perimenopause is a transition stage from reproductive phase to non reproductive phase, which begins several years before the actual menopause. It demands priority in the Indian scenario due to increase in life expectancy and growing population of menopausal women. During this phase there is imbalance in the hormonal levels which causes both physical and emotional symptoms. Yoga, a potential alternative to hormone therapy, is currently being assessed for its therapeutic value in decreasing stress and other symptoms associated with Perimenopause. Hence this study was undertaken to see the effect of selected yoga techniques in reducing the physical and psychological symptoms in Perimenopause women. Materials & Methods: It was an Open Randomized Comparitive Clinical Trial of 2 groups was adopted with pre-test and post-test design. 25 subjects in each group were selected using the inclusion and diagnostic criteria with selected Yogasanas and Pranayama and selected Pranayama respectively. The subjects were taught with selected Yoga techniques for a week and given printed protocol. They were asked to continue the therapy for 60 days. The criteria assessed were irregular menstruation, hot flushes, night sweats, palpitation, fatigue, weakness, depression, insomnia, irritability, mood swing and anxiety on 0th, 30th, 60th and 90th day. Results: Selected Yogasanas and Pranayama has given statistically significant results in reducing all the physiological and psychological symptoms in Perimenopausal women whereas Selected Pranayama showed statistical significance in symptoms like Hot Flushes, Night Sweats, Palpitation, Fatigue, weakness, Insomnia and Irritability and showed no statistical significance in Irregular Menstruation, Depression and Anxiety. Conclusion: The symptoms were reduced statistically in Selected Yogasanas and Pranayama when compared to Selected Pranayama Group. Thus, Perimenopause condition will be effectively managed with Selected Yogasanas and Pranayama. C, Suchithra; B V, Rekha. A COMPARITIVE STUDY TO EVALUATE THE EFFICACY OF SELECTED YOGA TECHNIQUES IN PERIMENOPAUSAL WOMEN. 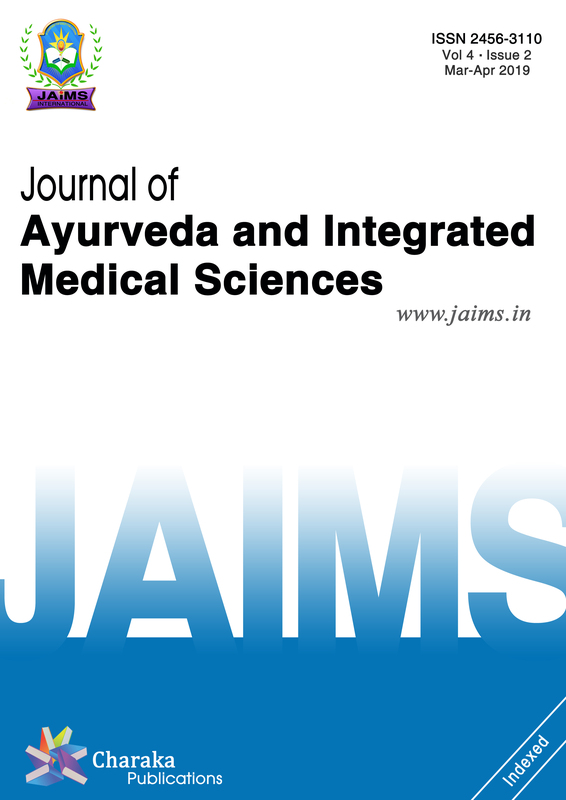 Journal of Ayurveda and Integrated Medical Sciences (ISSN 2456-3110), http://www.jaims.in/index.php/jaims/pages/view/Citation, v. 3, n. 5, p. 49 - 63, nov. 2018. ISSN 2456-3110. Available at: <https://jaims.in/index.php/jaims/article/view/693>. Date accessed: 25 apr. 2019. doi: https://doi.org/10.21760/jaims.v3i5.13819.